Santa Nails, can’t do Christmas Nails without the big guy. So, here are my nails that I recreated from theblondieprincess she has some great ideas so check her site out as well. 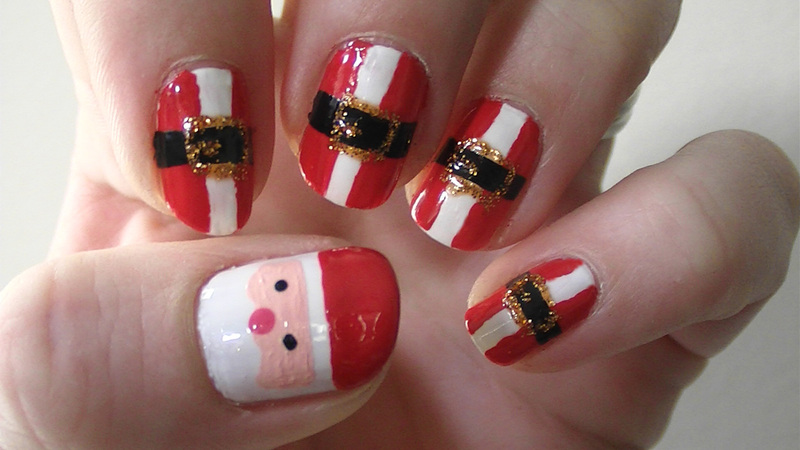 I think, I did these Santa nails too early as I should have done them on the big day. Oh, well I might try them again so easy to do. And easy enough for the non-dominant hand. Here are the products I used. I started out painting all my nails in white leaving my thumb nails for last. I used red to make the Santa suit and made wavy lines on each side of my nail leaving enough of the white to show through. Next up, was the black striper take your time to make the Santa belt straight and evenly matching from top to bottom. Last part was the Gold glitter/sparkle for the belt buckle. Even just gold or shiny yellow polish/silver or acrylic paint will work as well. 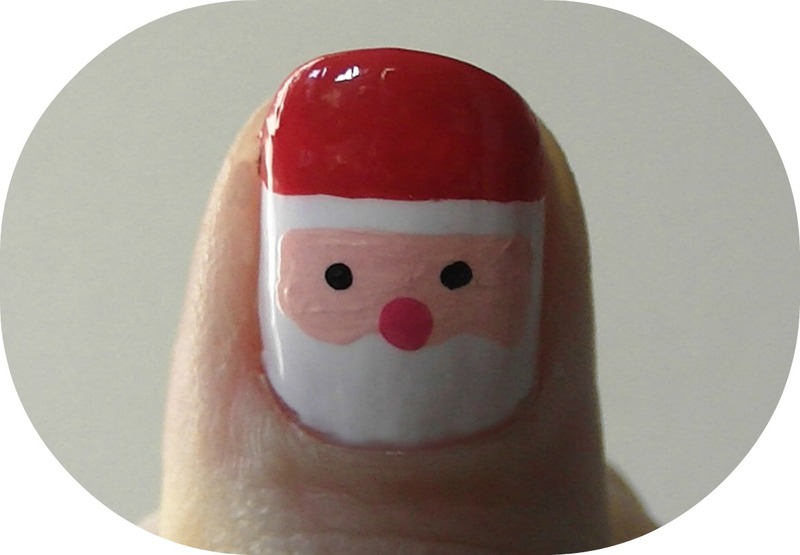 For the Santa face, I again used the red for the hat and just did the tips of my nail again trying to make it as straight as possible. (using tape may work for some ) I did it free hand. Peach Acrylic for the face and I made it a little wavy for the bottom of the face to give it an effect for the Santa beard. Black dots for the eyes and Pink for the nose. All finished !! You will need a lot of drying time in between coats for this design. Try it and Enjoy. Then let me know how you did.